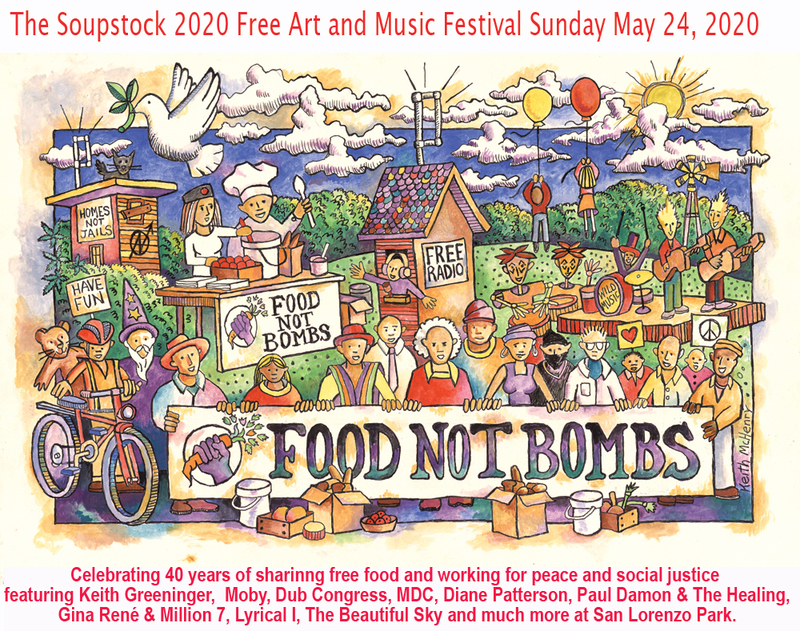 Santa Cruz Food Not Bombs is an all volunteer program that shares free vegan meals, produce and bakegoods with the local community. We scook at India Joze, 418 Front Street every Saturday and Sunday starting at 12:30 and we share our meals outside the downtown post office at Water and Front Streets from 4:00 to 6:00 PM every Saturday and Sunday. 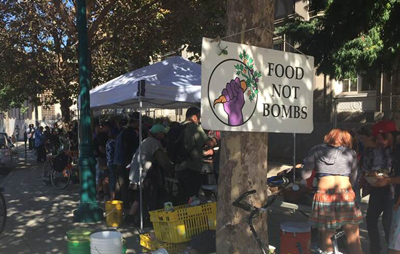 Santa Cruz Food Not Bombs is one of over 1,000 chapters active in over 65 countries. The Santa Cruz chaper started in 1992. The number of people eating with us has grow from around 50 per week to more than 300 people each weekend.